This Bohlen-Pierce arrangement of Terry Riley’s “In C” was realized on the musical hardware described in Rehearsal Room. It was performed by 13 identical algorithmic musicians known collectively as The Technical Academy. 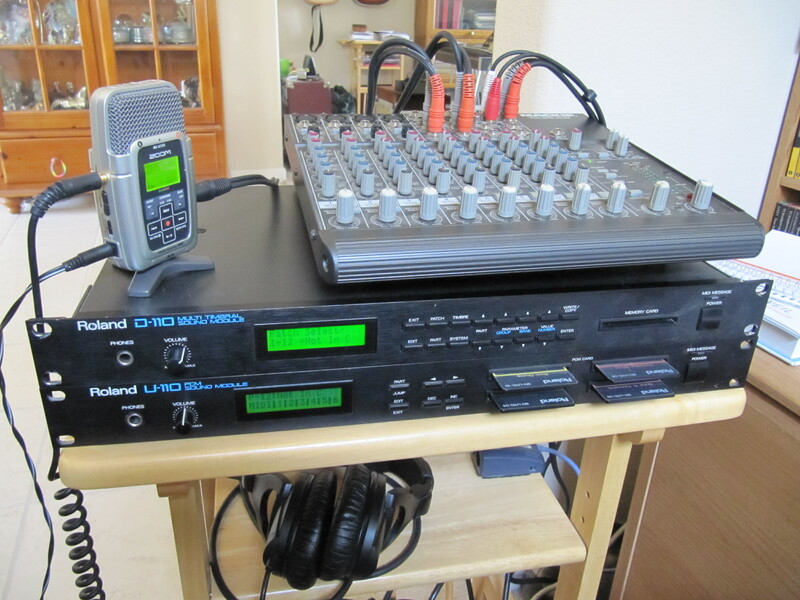 A characteristic feature of the ensemble is an indiscriminate fader controlled by a Markov chain on each voice. This is the third recording of the completed algorithm. 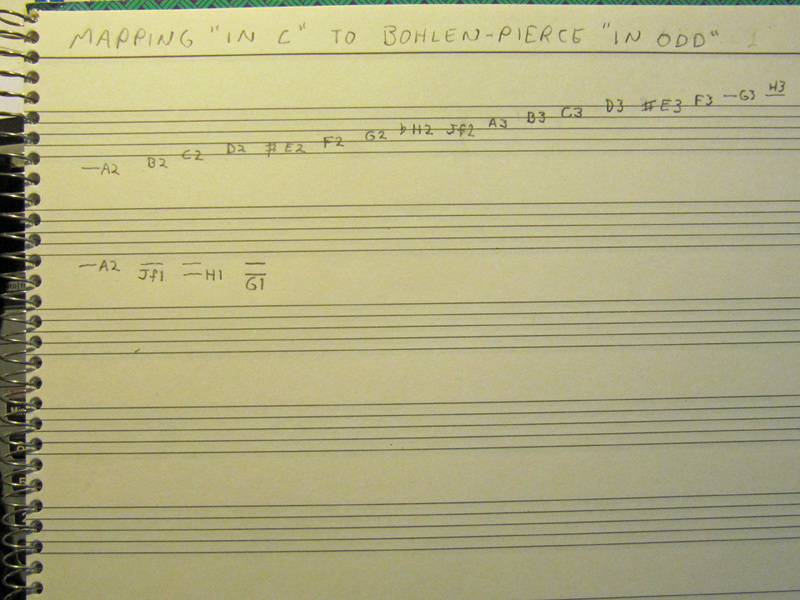 The notes of Terry Riley’s original score were remapped to Bohlen-Pierce notes in a slightly modified A Moll I mode; the B note would have mapped to BP’s J, but it was changed to Jb simply because Jb sounded better. Riley’s C D E F F# G A Bb B becomes A B C D E F G H Jb. The work is titled “Not In C” because it’s based on this different scale. Source code written in Ruby can be viewed at github.com/b0blee/TechAcademy. This table demonstrates some of the logic behind the Lambda scale. 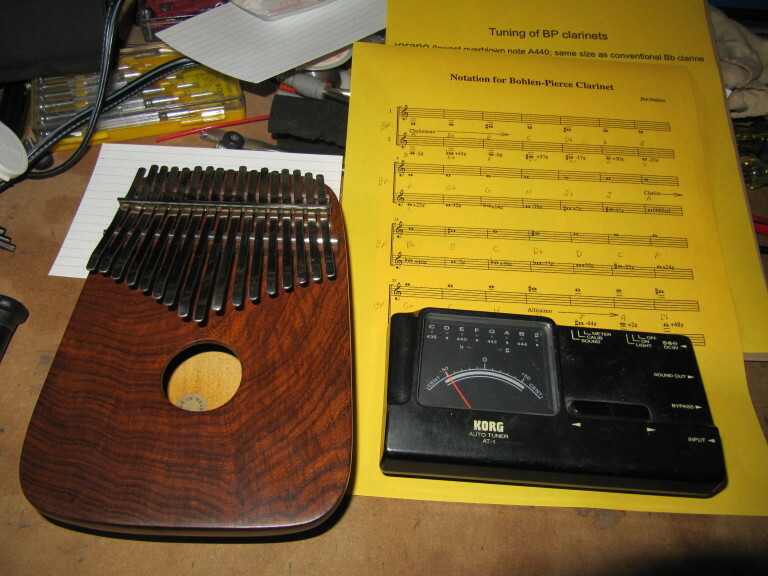 It shows the 17-limit just intonation (JI) intervals that are closest to the equally tempered Bohlen Pierce scale. 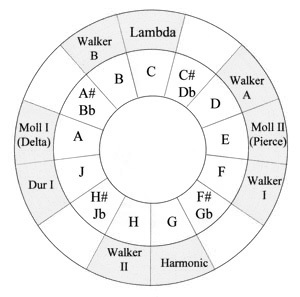 Notice that there are no close JI intervals for the F#, H#, and A# notes. Also, melody fragments in the D E F G range are virtually equal tempered with respect to one another. 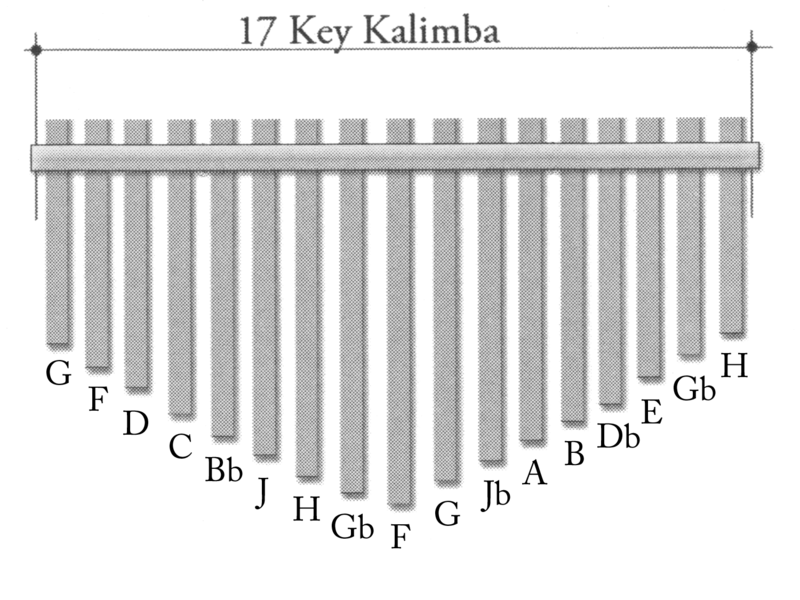 The original JI scale has accidentals that are beyond the 17 limit: C# is 25/21, F# is 75/49, H# is 49/25, and A# is 63/25. Using those ratios would bring the accidentals within 10 cents of the ET notes, but the ear gravitates towards ratios with lower denominators. In any case, it’s good to avoid H# because of its proximity to the octave. 49/25 can’t compete with 2/1. Same with A# against a strong C – most listeners will hear it as a too-sharp 10th.